Taiwan’s $183 bln chipmaker expects revenue to fall sharply this quarter. Weak demand for mobile handsets is one problem. But the pain may be short-lived. 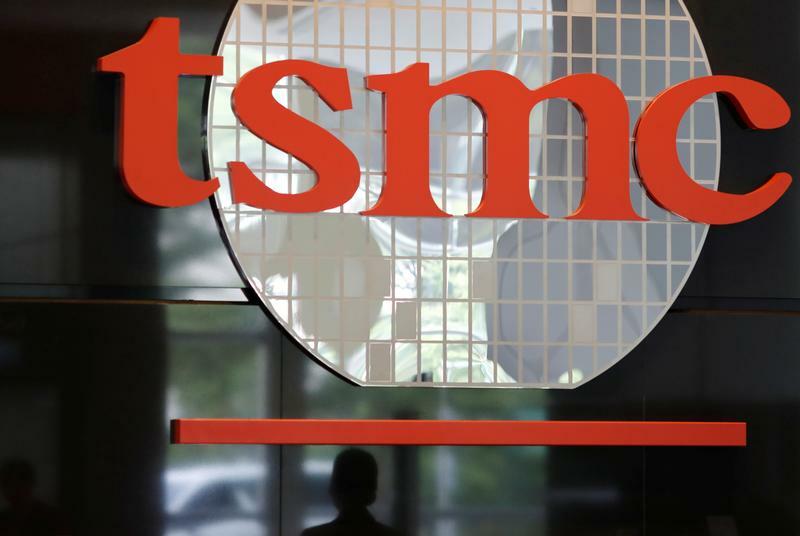 TSMC’s cutting-edge semiconductors will help to win customers in AI and 5G. That should ease its dependence on Apple. A logo of Taiwan Semiconductor Manufacturing Co (TSMC) is seen at its headquarters in Hsinchu, Taiwan August 31, 2018. Picture taken August 31, 2018. Taiwanese contract chipmaker TSMC on Jan. 17 said revenue in the three months to end-December was T$290 billion ($9.4 billion), an increase of 4.4 percent from the same period in 2017. Earnings for the quarter rose slightly by 0.7 percent to T$100 billion, in line with the average forecast from analysts, according to Refinitiv data. The company also said it expects revenue for the first three months to March to be sharply lower at $7.3 to $7.4 billion, and operating margins to be between 31 and 33 percent, down from the 37 percent in the December quarter. TSMC's shares closed up 1.4 percent at T$220.50 ahead of the earnings release on Jan. 17.